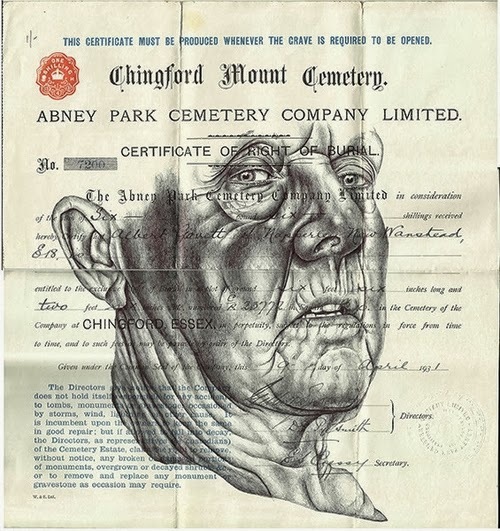 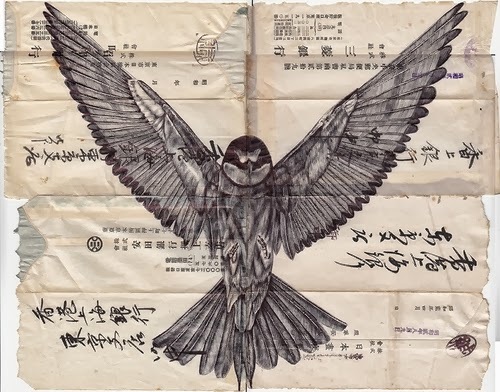 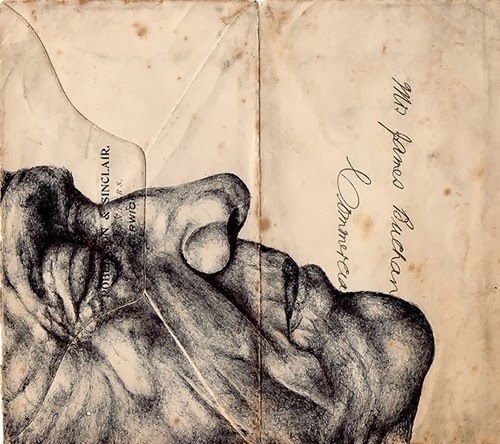 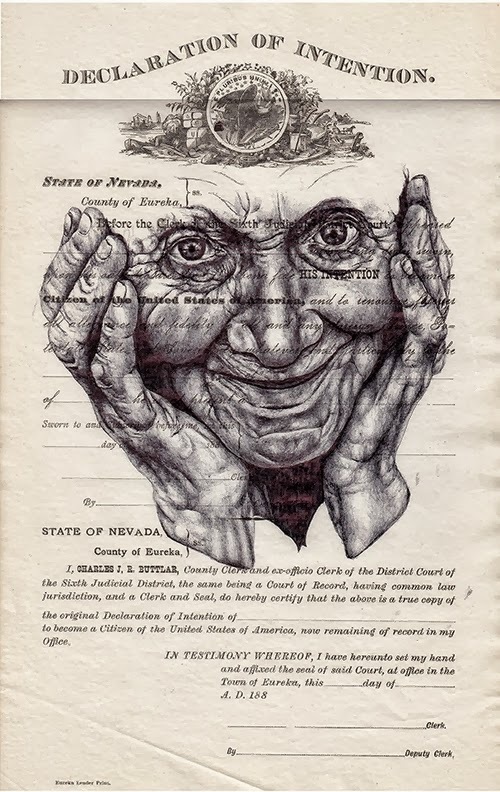 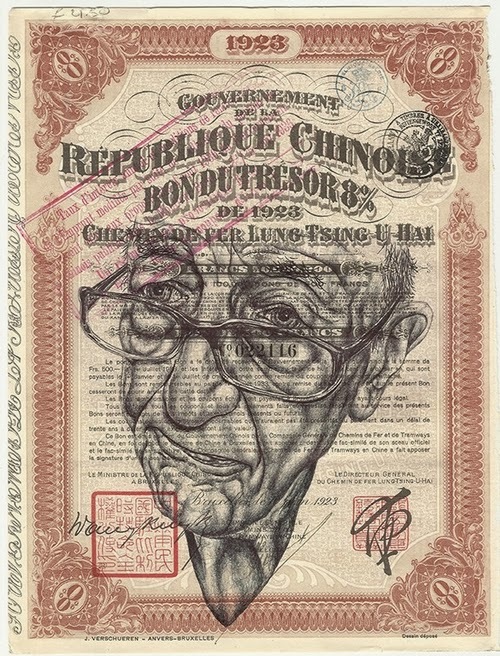 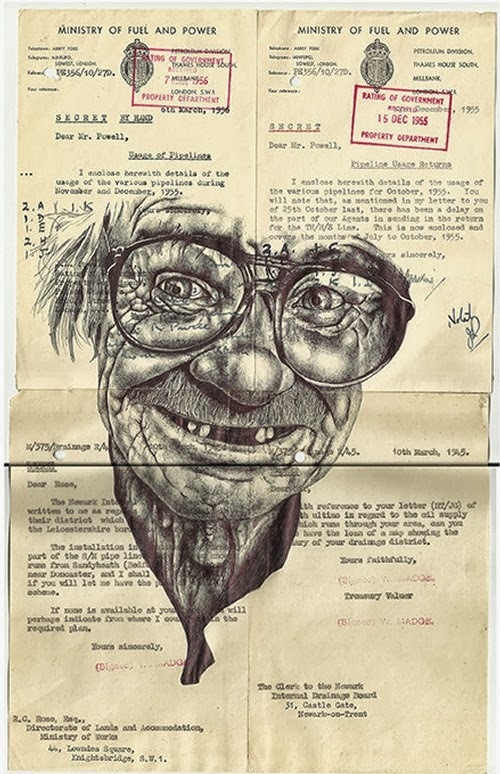 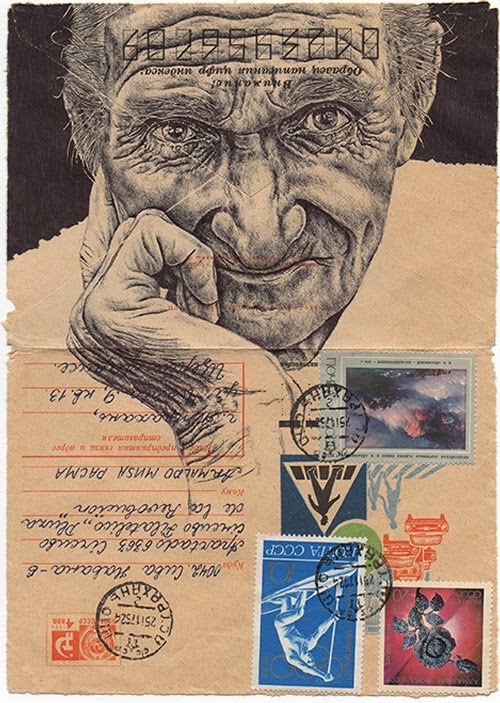 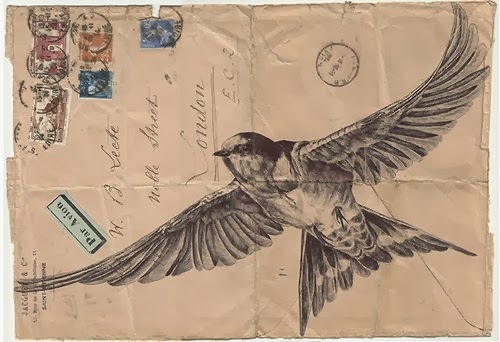 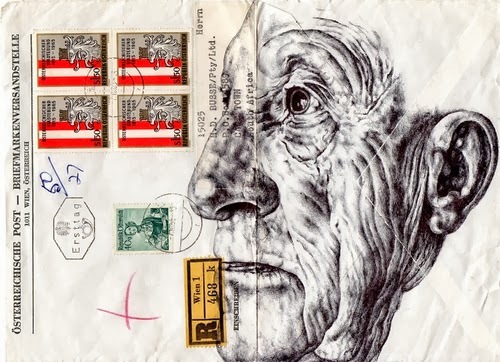 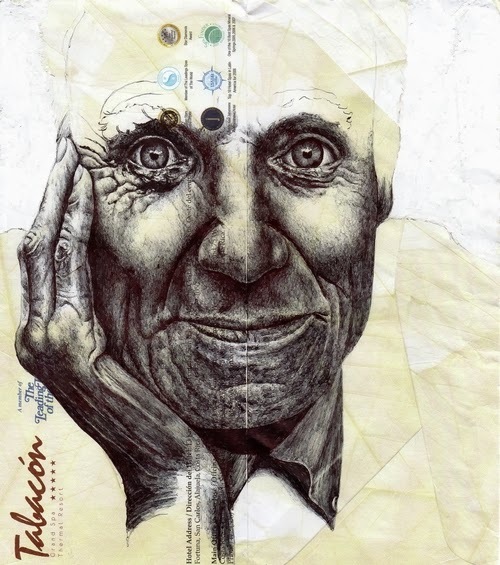 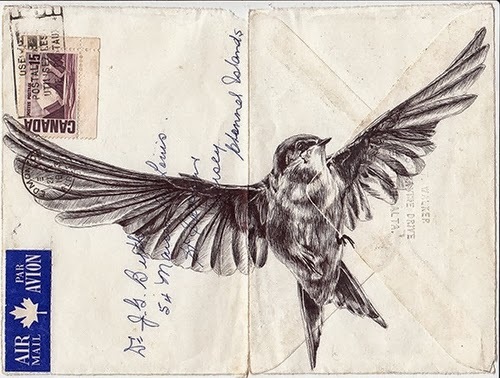 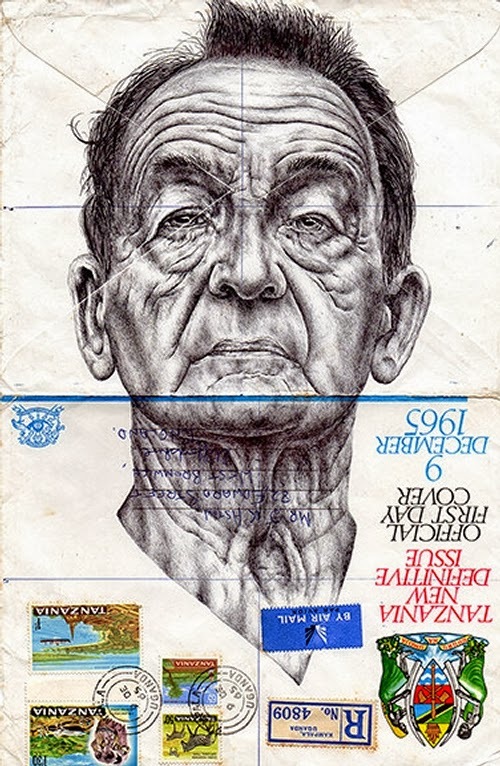 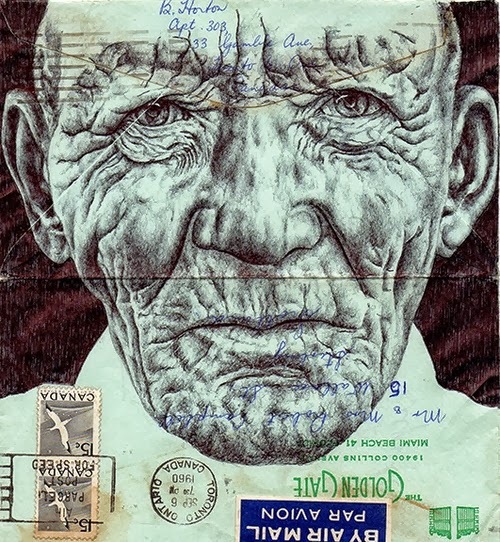 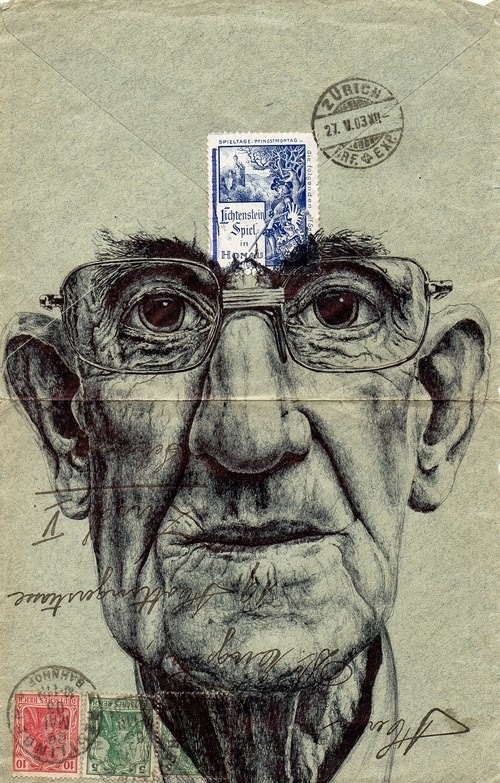 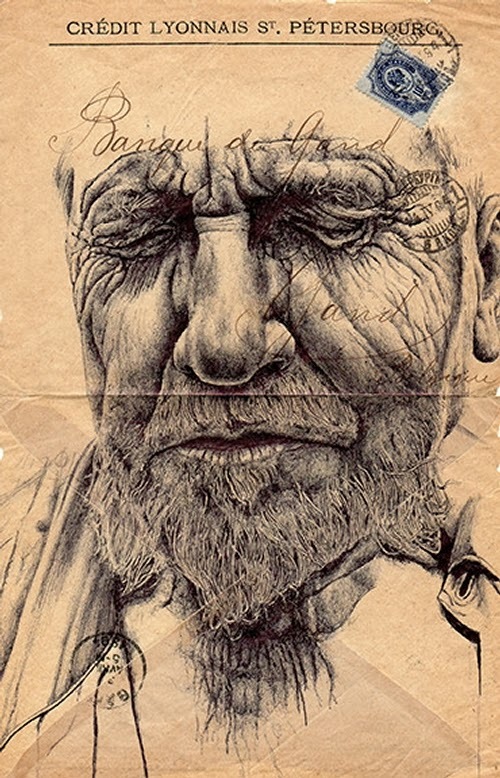 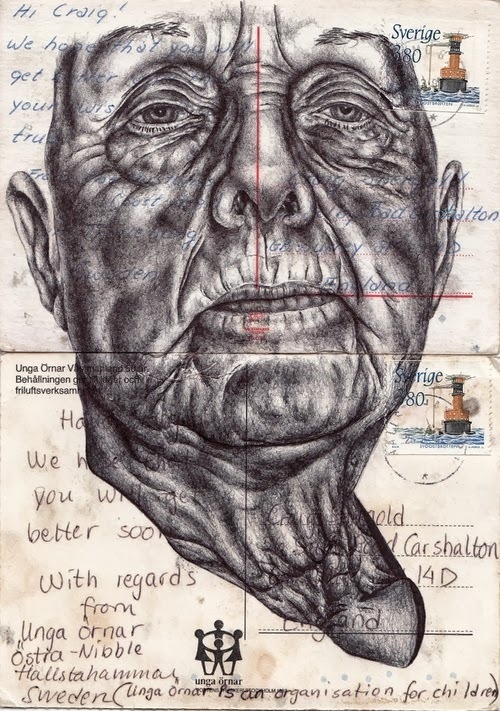 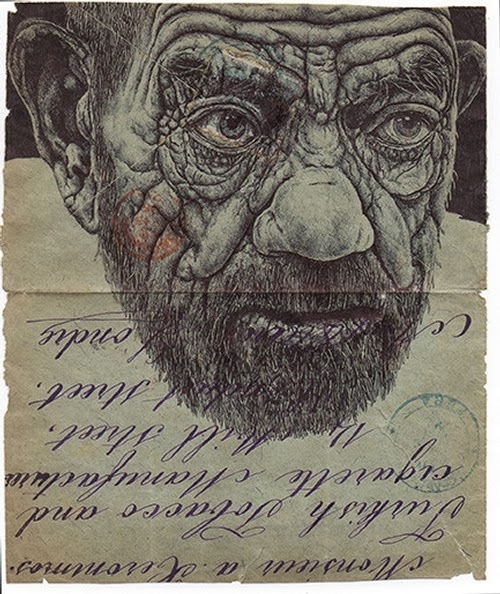 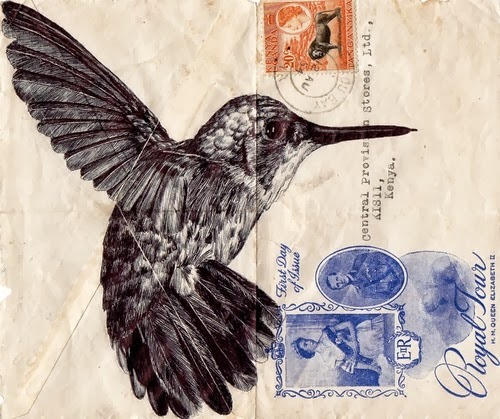 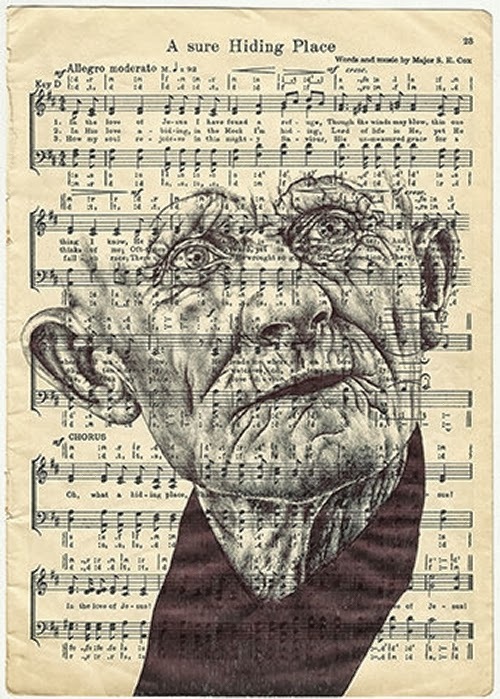 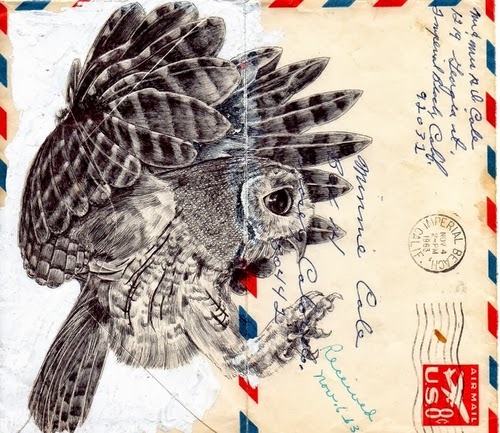 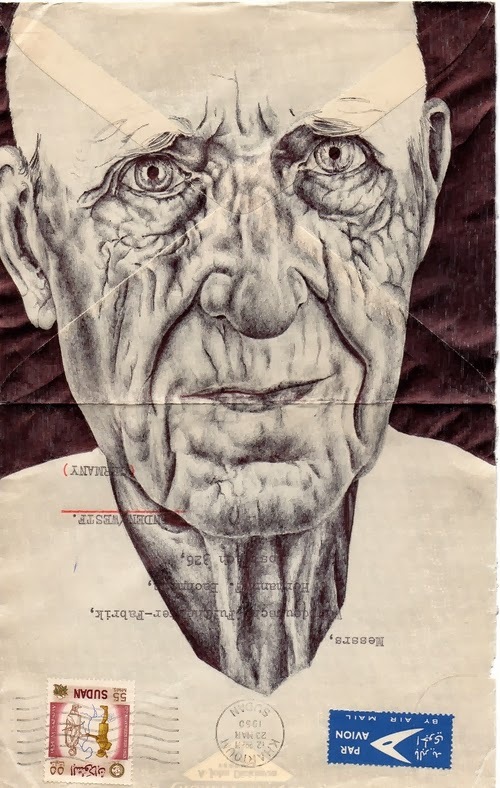 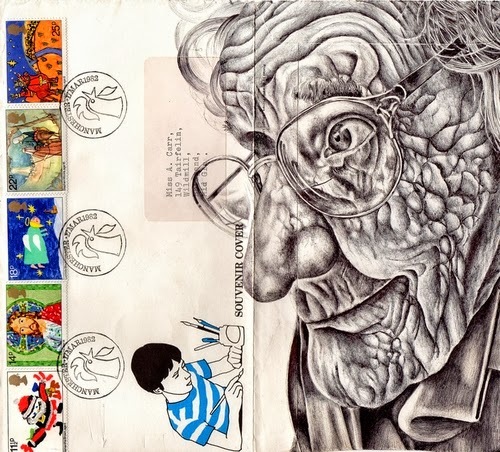 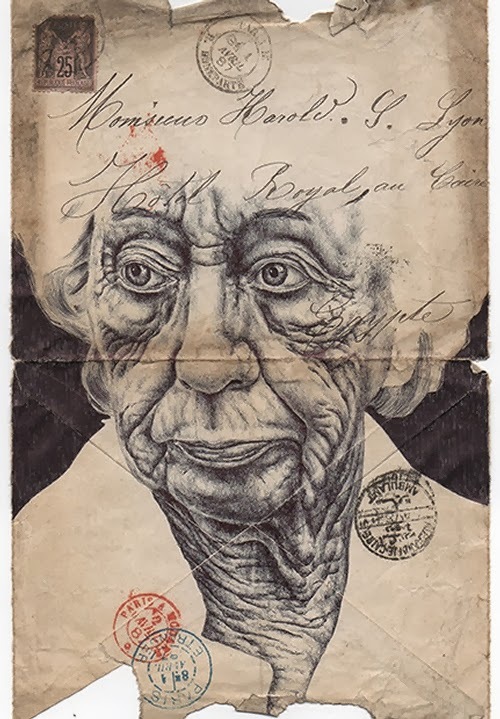 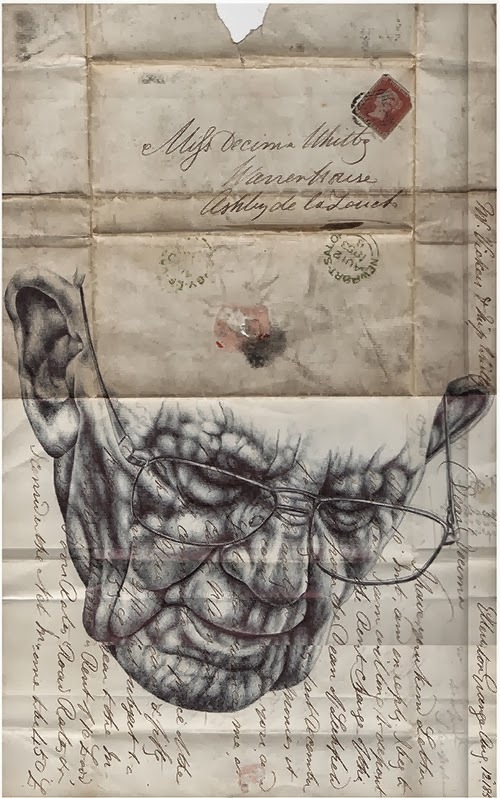 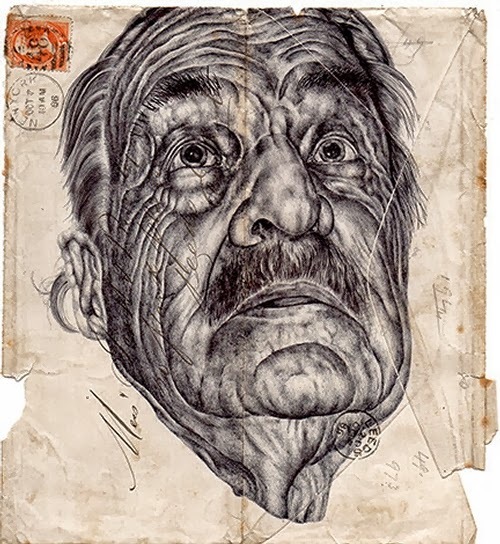 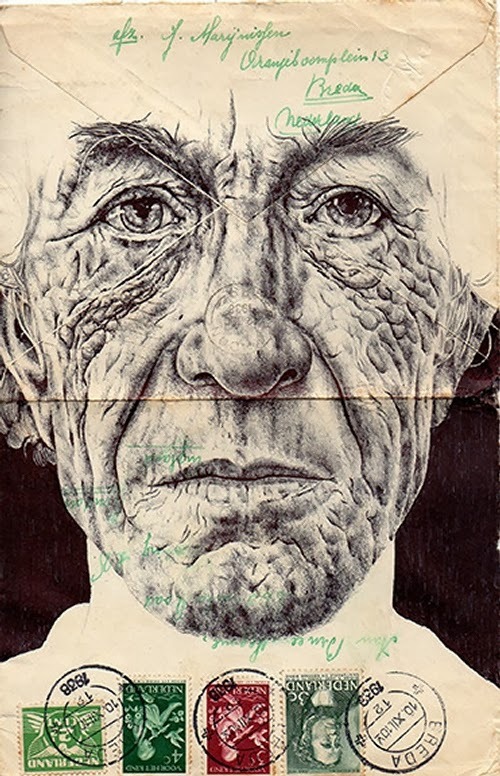 British Artist Mark Powel uses old envelopes, documents or sheets of music to draw his portraits. 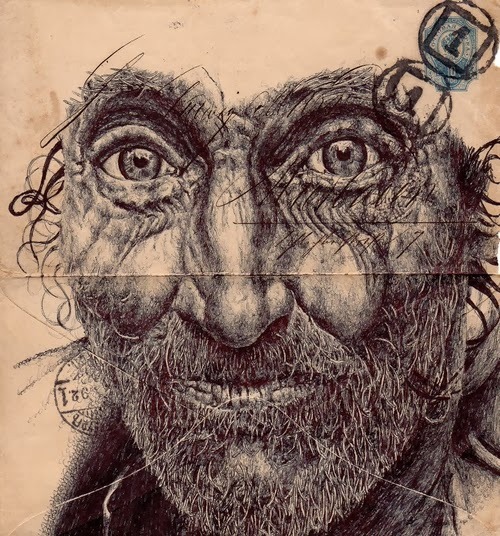 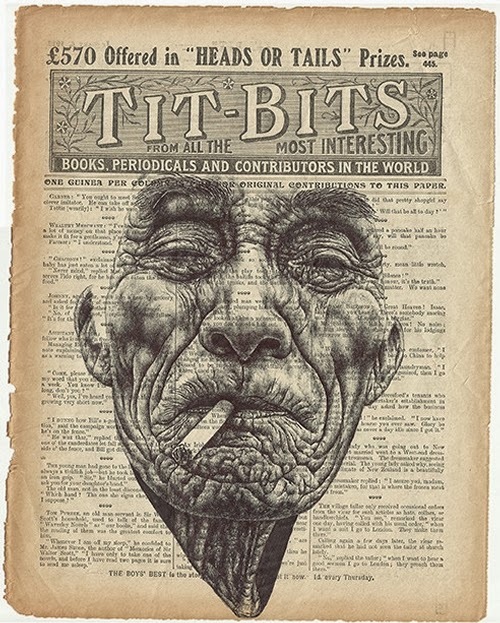 With just the use of a pen he has drawn these faces with an incredible amount of personality. 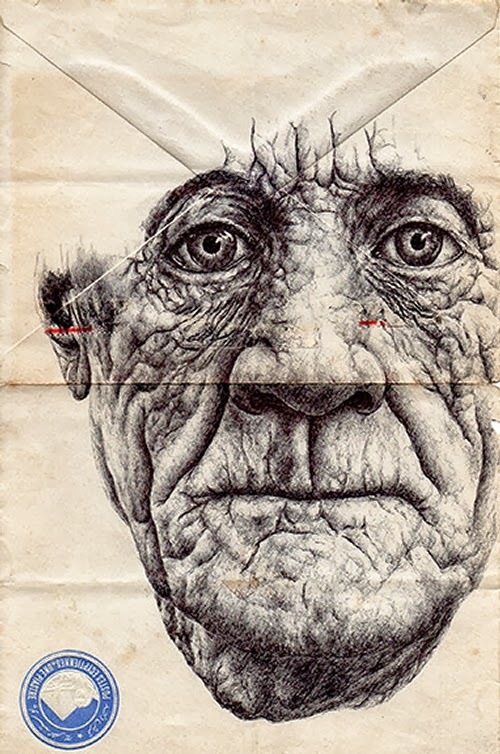 Not what most would consider conventional beauty, they are incredibly expressive, I love them. 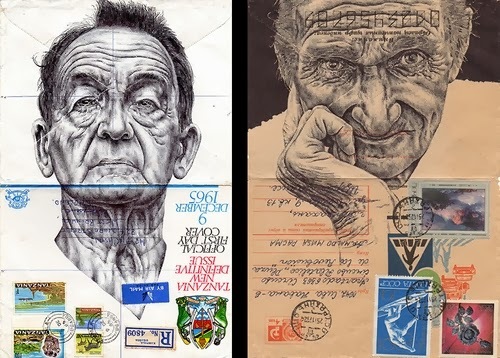 These images can be bought on Mark Powel's site.